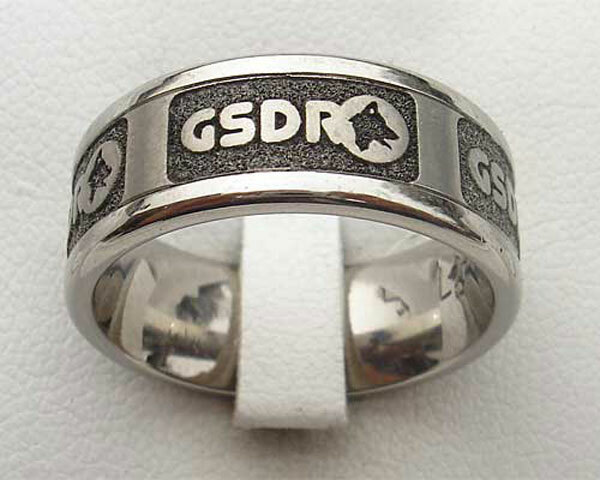 This is a 7mm wide flat profile, polished titanium ring that has been laser engraved with the GSDR logo but they can be engraved with a limitless number of designs. Titanium has become very popular in recent years particularly for wedding rings because of it's durability and it is a much more affordable alternative to gold which has climbed dramatically in price. Silver is too soft to withstand daily wear long term and many people react and their skin turns black in contact with silver. Titanium contrary to popular myth, is not scratch proof but it is very hard wearing and will stand the test of time and will continue to look good year in, year out. Although Titanium can be resized one or two sizes, better to get it right first time. Do not guess finger sizes or use bits of plastic or paper sizers downloaded from the internet - they are not accurate. 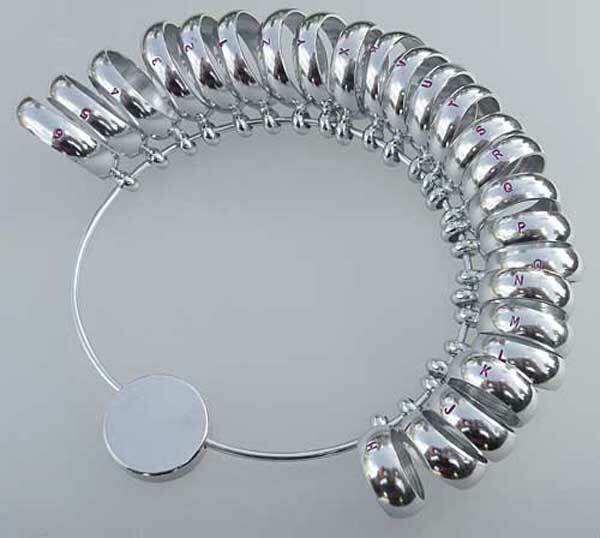 We can provide professional ring sizers for a £40 deposit which is refundable upon return.